One of the best-known examples of Hollywood extravagance in the twenties was William Randoph Hearst's "Castle," aka San Simeon and La Questa Encantada. 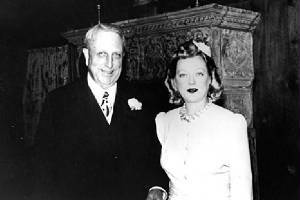 Heart's hostess was actress Marion Davies instead of his wife, Millicent Hearst, who lived back in New York where she raised their sons. One place to start is the website dedicated to his castle at http://www.hearstcastle.org/. Should I make reservations for my tour? Absolutely, tour reservations are strongly recommended to guarantee the tour, date, and time desired. Please call (800) 444-4445. If you are calling from outside the U.S., please call 1-916-414-8400 ext. 4100 for ticket information. Or reserve online. Limited walk-up tickets will be available on a first-come-first-serve basis. Is Photography allowed at Hearst Castle? While on tour, still and video photography is allowed for personal use only. We do not allow flash photography or tripods. Photography for personal enjoyment is encouraged. However, photographs taken on-site may not be used for commercial purposes, nor may they be published in any medium or format without prior written permission from the State of California. All commercial rights to use photographs taken on the premises are reserved by the State of California unless expressly granted otherwise in writing. Please review our on-site photography guidelines. Do you still operate tours in the rain? Yes, Hearst Castle is open daily except for the following holidays – Thanksgiving, Christmas and New Year's Day. All tours include about 15 minutes or more outside, but the tour guide will try to limit that time when wet weather is present while walking to and from the buildings. There are no covered walkways when traveling from building to building; however, umbrellas are permitted. If the castle is closed due to bad weather, tour tickets may be rescheduled for a different time or date at no additional charge. Refunds are determined on an individual basis. Questions about cancellations and/or refunds please call Reserve America at (800) 695-2269. What should I do if there are road closures? Highway 1, 101 and 46 can experience road closures during the rainy season (November-April). You may check the Cal Trans website for current road conditions. When we sign up for multiple tours do we ride back and forth to the castle or meet up with our next tour at the castle? We do not have a waiting area at the hilltop, so you must ride the bus up and back for each tour. How much time should we allow between tours? Booking your tours two hours apart gives you time for a short 10 minute break back at the Visitor Center. We do offer a 10% discount on the daytime tours for groups of 12 or more when purchasing tickets at the same time. The only other discount that is available for the Hearst Castle tours is the Distinguished Veteran Pass. 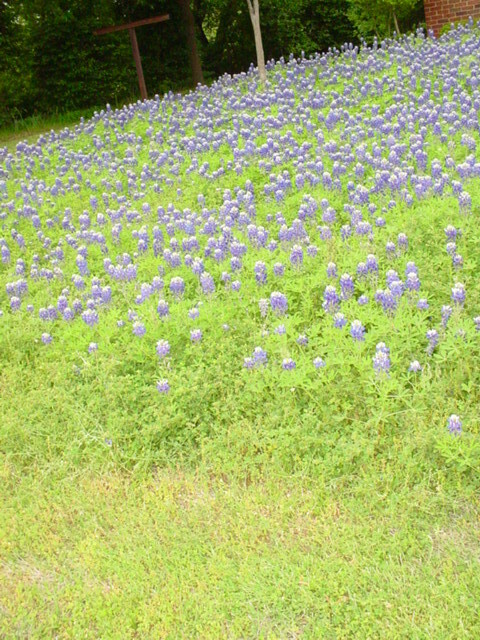 For more information on these and other state park discounts, refer to the special discounts page. Is Hearst Castle available for weddings or special events? You can host your own event at Hearst Castle, which must include a tour. Please review our special events page for more details. Are you closed any holidays? Hearst Castle is open for tours daily, except Thanksgiving, Christmas and New Year's Day. We offer three different tours year-round and Tour 4/Garden Tour and the Evening Tour are available seasonally. Day tours usually begin at 8:20 AM daily (December start times may vary.) The last tour generally starts at 3:20 PM in winter, later in summer and in December. Evening Tour start times vary according to the time of sunset. No, pets are not allowed; however, service animals are permitted on all tours. Please refer to the San Simeon Chamber of Commerce website for pet sitting options or call them at (805) 927-3500. Are dogs allowed on the state beaches or campgrounds? Dogs are allowed in most campgrounds and developed sites in state parks only on a leash. Service animals are permitted on Hearst Castle tours and State Park lands. The California State Park website has more information about specific areas. Also, you may contact your local county parks for their guidelines. Dogs are allowed at the campsites in San Simeon State Park, Morro Strand State Beach, and Montana de Oro campgrounds as long as they are on a (6 ft. or less) leash, with a person holding the leash. Dogs are allowed on a leash for walking on the beach from the south end of Studio Drive in Cayucos to the Cayucos State Pier and the beaches of Pismo State Beach with the exception of Pismo Dunes Natural Preserve. Rules and regulations are subject to change. Be sure to contact the individual agency that manages the area first to confirm current regulations, including required vaccinations, leashes that must be used or carried, etc. Are service dogs allowed on tour? Yes, service dogs are allowed on the general tours. We would appreciate an advance telephone call so we can be prepared. If a visitor is visually impaired, we can offer a touching experience during the tour. If hearing impaired, we offer an assistive listening device. These need to be arranged ahead of time by calling (805) 927-2010. Can I make reservations online? Yes, tour reservations can be made online, click here. What is the cancellation policy for tour tickets? Subject to availability, visitors are permitted to make changes in Tour date and up to 1 hour before the start time of the Tour. In the event you change your Tour date and/or time a change fee of $3.50 per ticket will be applied. Cancellations can be made up to one hour before the start time of your Tour. Phone 1-800-695-2269. Once this reservation is completed there is a $7.00 fee to cancel and a $3.50 non refundable service fee per ticket. Refunds will not be issued for the movie only portion of an Experience Tour Package. For all other tours, refund of the movie only portion is subject to a $1.00 per ticket cancellation fee. What is your tipping policy for the tour guide? The tour guides are paid state employees and do not accept tips. What is your donation policy for fundraising events? The organization requesting a donation must be a non-profit, non-religious organization. We request that all inquiries be submitted at least four weeks in advance by a letter, email or fax including the 501 (3)(c) number to Hoyt Fields at hfields@hearstcastle.com or fax number at (805) 927-2110. By joining Friends of Hearst Castle. FHC is a nonprofit cooperating association affiliated with the Monument. It supports education and interpretive programs, as well as artifact conservation efforts at the Castle. Through memberships, fundraising and special events, it helps to preserve this unique cultural resource for future generations. Should I see the movie before or after my tour? The Hearst Castle Theater shows "Hearst Castle-Building the Dream" every 45 minutes starting at 8:15 a.m. You may view the movie whenever it is convenient for you since you do not have an assigned time to view the movie. The theater holds around 400 guests for each showing so seating is not usually a problem. Are there special tours for the physically challenged? We offer a tour for those individuals who have difficulty climbing stairs, walking, or standing for a length of time. For more information on the Accessibly Designed Tour call (800) 444-4445. If you would like more information on the physical requirements and length of tours click here. How do I get to Hearst Castle? We have a detailed map and driving directions on our map page. The mileage chart is approximate, and driving times may vary according to road conditions and weather. Are strollers allowed on the tour? No because of the large amount of stairs, but child-carrier backpacks and front-packs are allowed. If you do not have one, you may borrow one from the Ranger's Office on a first come first serve basis. What accommodations are available in the area? Visit Friends of Hearst Castle's Travel Planning Website or one of our local area chambers for hotel information. Camping close to San Simeon is also available. Who designed your web site? When are the Christmas Tours? Hearst Castle does not have a specific themed tour for Christmas. The main house and all three guest houses will be decorated for the holidays. When are you decorating for Christmas? Decorating Hearst Castle is a process which takes time to complete and usually begins in mid-November. The Christmas decorations and the trees are beautifully lit during all operating hours. When do the decorations come down after Christmas? We will begin taking down the decorations on January 2. This can take up to a week to complete. What tour shows the most decorations? Tours that include the Assembly Room, the Refectory, and the Morning Room will see the most decorations. They are the Experience Tour (Tour 1) and the Evening Tour (Tour 5.) During the month of December, on nights when Evening Tours are scheduled, we have added additional Experience Tours in the late afternoon which offer viewing of the decorations around sunset. The Experience Tour is less strenuous for those who do not wish to climb over 300 stairs. When are the Evening Tours (Tour 5) available this year? For the holiday season they are available on Friday and Saturday evenings in November. In December, Evening Tours are offered on December 4th, nightly on December 11th through December 23rd, and nightly on December 26th through December 30th. There are no Evening Tours scheduled for December 5th, 24th, 25th or 31st. Times and dates may vary so please call 800-444-4445 to check availability or online at www.hearstcastle.com. How many people visit Hearst Castle per year? We calculate attendance by tours given, not by people because many take multiple tours. 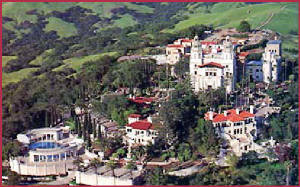 Hearst Castle gave 839,858 tours between July 1, 2001 and June 30, 2002, our fiscal year. In 2002-2003, we gave 767,818 tours between July 1, 2002 and June 30, 2003, our fiscal year. In 2003-2004, we gave 779,334 tours between July 1, 2003 and June 30, 2004, our fiscal year. In 2004-2005, we gave 690,860 tours between July 1, 2004 and June 30, 2005, our fiscal year. In 2005-2006, we gave 673,691 tours between July 1, 2005 and June 30, 2006, our fiscal year. In 2006-2007, we gave 667,267 tours between July 1, 2006 and June 30, 2007, our fiscal year. In 2007-2008, we gave 673,449 tours between July 1, 2007 and June 30, 2008, our fiscal year. In 2008-2009, we gave 646,027 tours between July 1, 2008 and June 30, 2009, our fiscal year. How long did this home take to build? Initial plans were discussed in 1919. Mr. Hearst left San Simeon in 1947, and construction ceased that year, concluding a 28-year building span. The cost of construction over such a lengthy time span is impossible to calculate exactly. However, records from estate architect Julia Morgan’s office indicate that the total expenditure for construction costs and purchase of the art collection did not exceed ten million dollars. How many fireplaces are there? There are 30 fireplaces in Casa Grande alone, and 41 total including ones in the three guesthouses. How many bedrooms are in the Main Building? There are 38 bedrooms altogether. Why is the building unfinished? 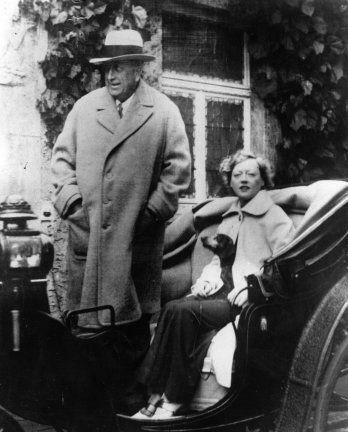 A combination of elements contributed to the unfinished state of the building: Mr. Hearst's penchant for simultaneous projects and constant modifications of projects underway; financial crisis and subsequent project shutdown; his absence from the Hilltop during WWII; and eventually his failing health and advanced age. What have you done to improve security at Hearst Castle? We ask that all visitors leave any packages or backpacks in their vehicles while on tour. For more information see facts and stats.